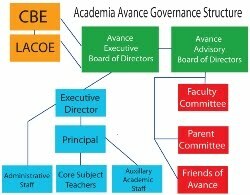 Click here for a listing of the Avance Executive Board. Click here for details on the school's leadership team. Click here to access the DELAC page. Click here to see documents pertaining to the Avance Uniform Complaint Procedures.